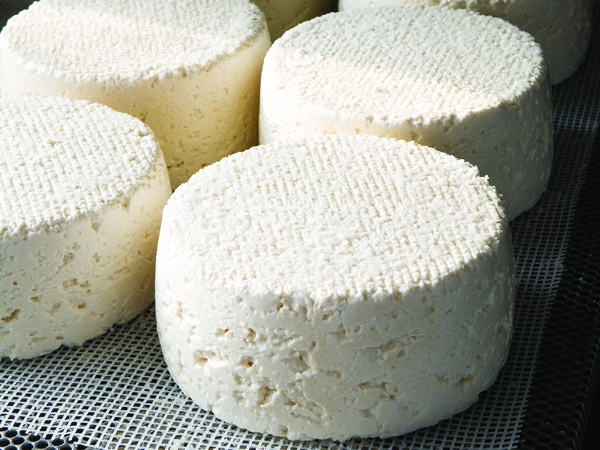 Cheese from Birchrun HillsNext weekend, the White Dog Cafe and Fair Food are coming together for a can't miss afternoon dubbed “Dining al Fresco at the Farm.” Lucky locavores will learn what it takes to raise quality honeybee colonies at Trey Flemming’s Two Gander Farm and Apiary. They will then enjoy a unique dining experience in Fox Hollow Farm's beautiful horse paddock. The meal, a 6-course tasting menu prepared by White Dog Chef Eric Yost, will be paired with outstanding American wines and artisan cheeses from Pete Demchur of Shellbark Hollow Farm and Sue Miller of Birchrun Hills Farm. Tickets are $125; this includes the Two Gander Farm tour, a 6-course dinner and drinks at Fox Hollow Farm and a donation to Fair Food. Sunday, June 27; 2 p.m. at Two Gander Farm (Oley, Berks County), followed by dinner at Fox Hollow Farm (Douglassville, Berks County). For information or reservations, contact The White Dog's Andrew Welch at 215 386-9224 or andrew@whitedog.com.